The Premier League's top six have been offered the services of Colombian superstar James Rodriguez by parent club Real Madrid, 90min understands. Rodriguez is approaching the end of a two-year loan with Bayern Munich, and the German champions have the option to make the move permanent for around £40m as part of the initial agreement, which was struck in 2017. However, James has started just nine games this season for Bayern and it's unlikely they'll take up the option. The 27-year-old has just over two years left on his deal with ​Real, but they are ready to move the player on permanently this month if the opportunity arises, and if there is sufficient interest. 90min understands both Arsenal and Tottenham are keen on the attacker - it was even suggested on Tuesday that Real could ​use the player as bait to convince Spurs to sell Christian Eriksen - whilst Chelsea and Manchester United have been asked to be kept informed of the situation after intermediaries made contact about the South American. Liverpool are also thought to be interested, but Jurgen Klopp has already distanced the club from any potential incomings this month. Rodriguez himself is believed to be keen on sampling life in the ​Premier League, and especially in the capital, where the interest in him is strongest. 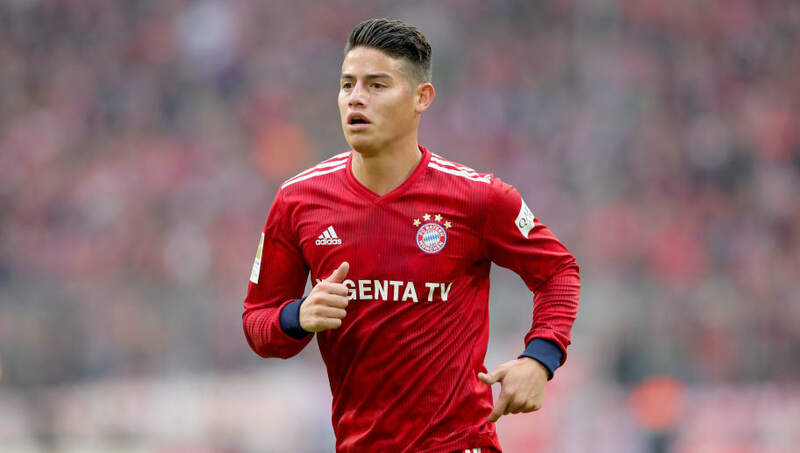 ​Arsenal coach Unai Emery would love the chance to land ​Rodriguez, but they may have to wait until the summer to be able to accommodate Rodriguez’s huge wage packet. That is, unless they can move on their own biggest earner, Mesut Ozil, who is attracting attention from clubs in Turkey. However, with just over a week left in this window, both Ozil and Rodriguez’s next moves may have to wait until the summer.